One of the hardest problems with Anxiety is trying to sleep at night. I find it very difficult to switch off and mostly when it’s time to sleep. When I’m lying in bed, all I can think of is things I did wrong that day, things I wish I did or worrying about tomorrow. There are a few things you can do to help you sleep at night like, write lists, play music or sounds (water, birds, etc) but for me the most successful way to fall asleep is to watch a film. Some people might think that’s a weird way to get to sleep but I find depending on the sounds, music or story, it really helps. Sometimes, it’s a film with a soothing score or it could be a film I’ve watched 1000 times and I know it so well it sends me off because I know whats coming next. Basically I could play it all in my sleep. There are a few films which are so bad that they bore me to sleep too but most of the time it’s the music that gets my head down fast. I find the best films to send to sleep are SciFi films. They typically have comforting soundtrack which is easier to listen to at night than say a action packed score or horror flick with abrupt sounds. This film is completely in Spanish and has English subtitles. It’s such a beautiful movie but also has an epic score which get’s me to sleep every time. This is one of my favourite Sci-Fi films in years and I’ve lost count how many times I’ve watched it. Again, it’s also got a beautiful soundtrack so I sometimes put this one on at night as my go to film. Again, I’ve over played this one to death. I do like this film but I’ve watched it do many times I can play the whole thing in my head without even watching it. Not only does this film have a great soundtrack but it’s SO LONG I know I’m going to be out of it by the half way mark. Waaaaaall Eeeeee! I love the 1930s music in this film. I’m usually passed out before Wall-E heads into space. Other than Harry Potter, this is probably my favourite franchise. I’m just a massive Jennifer Lawrence fan. As well as watching these films to death, I also love the music. Let’s face it. These are the LONGEST FILMS IN HISTORY. If I think it’s going to take me a while to get to sleep, then I put one of these films on. I’m usually out before Frodo leaves the shire. One of my favourite films this year. I can’t get enough of this film and love the 1980’s soundtrack. Just an easy film to listen to at bedtime. Fun fact. I’ve watched this film so many times and I still don’t know how it ends. Fact. This film…is so bad…but sort of a guilty pleasure of mine. Yet, it does the job. I love this film. No real music in this but I’ve watched it so many times that it’s great to fall asleep to. Just don’t have it on too loud. 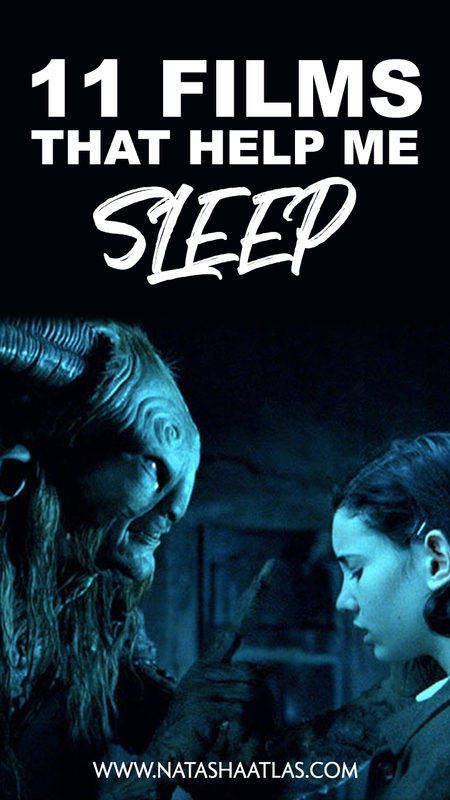 Do you watch films to help you sleep? Which ones help you the most? Let me know in the comments below.